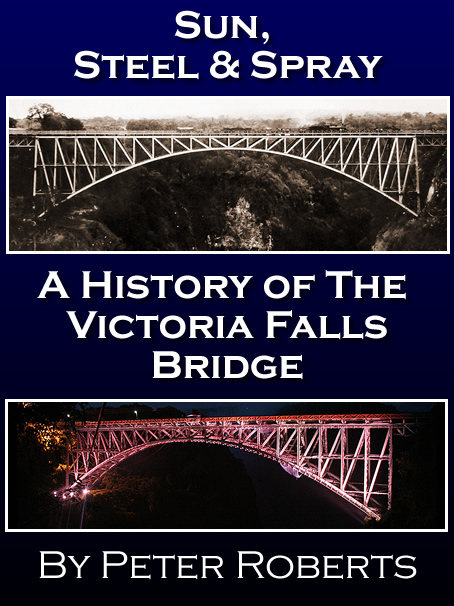 Percy Clark soon published his own (sadly undated) guidebook to the Victoria Falls, the earliest (second) edition available to the author dating from soon after the 1910 visit of the Duke and Duchess of Connaught. Clark’s guide, priced one shilling, offered local information, a selection of his own photographs and a guide to various walks available to the visitor over a suggested three day itinerary. Among the features of the Falls, Danger Point and the Boiling Pot are now both named. Clark himself named a local kopje after the Native Commissioner, Andrew Dale. Clark refers to the near eradication of malaria and blackwater fever, and a rather ambitious scheme to introduce trout into the Zambezi above the Falls. “Large and ever-increasing numbers of visitors journey to the Falls during the wet season, the bogey of fever having almost effectually been dispelled, in fact it is a most rare occurrence for an visitor to suffer from fever, and with proper safeguards, such as one would take in any portion of the world, there is no danger of illness to be feared. The scheme did not account for the highly predatory Zambezi tigerfish, native to the river, and which would have made this a rather short-lived introduction attempt. Prior the 1910s there was still very little development on the southern bank, the main focus of the small settlement being the Hotel, Railway Station and Percy Clark’s Huts, all situated on a plot of land identified as the Railway Reserve. The Police Camp was located outside the Railway Reserve a short distance up the hill. The limited water and electricity supply on the south bank may well have been significant in limiting its early expansion. 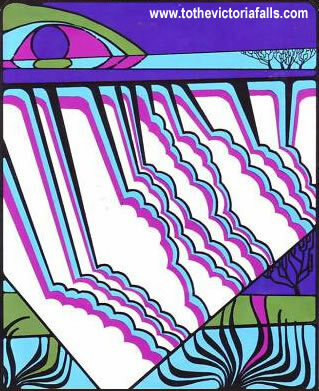 By 1910 the enterprising Percy Clark had been running a fleet of nine Canadian canoes on the river for some years. Guests could be paddled across to Cataract Island from the southern bank, and to Livingstone Island from the northern shore. 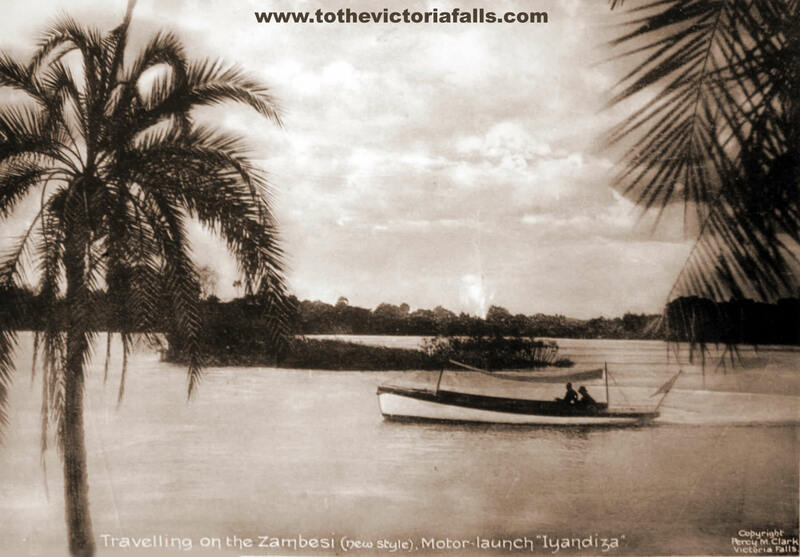 In March 1911 Clark announced the arrival of his new motorised launch, called Inyandiza, which operated Sunday afternoon cruises from the old boathouse. 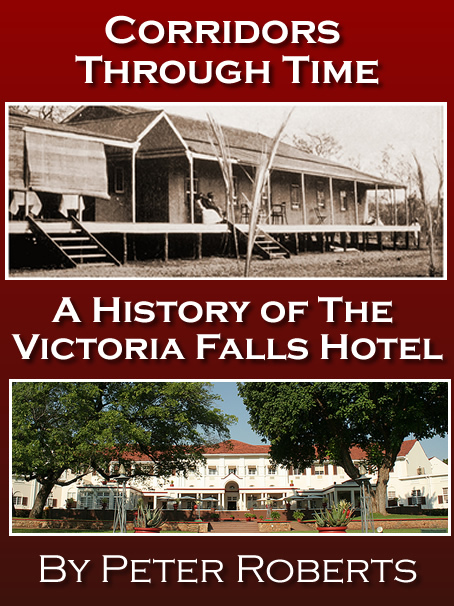 All reservations were to be made by the Victoria Falls Hotel, to which Clark paid a percentage. A whole day should be devoted to a trip up the magnificent Zambesi River. The trip may be made in Canadian canoes, paddled by expert Native boys, or in a modern, roomy and comfortable motor launch. The river trip is one of some seven miles up the river, and above the Falls. Many picturesque islands are visited on the journey, the regatta course is negotiated, and ultimately Kandahar Island is reached, where a most enjoyable picnic can be held. After luncheon the return journey should be commenced, say at about 2.30 pm, and a break made upon one of the charming islands for tea. The return trip is perhaps the more pleasant, as one catches the gorgeous tints of the setting sun on the tree-topped islands with their wealth of palm trees and semi-tropical growths, and the multi-coloured tints of the spray from the Falls, as seen from behind. From the middle of June until the end of December is it possible to visit Livingstone Island (originally named by David Livingstone ‘Garden Island’), the trip being made by canoe. The trees on which he carved his initials is still to be seen, and visitors should be careful not to mutilate it in any way. The whole of the Rainbow Fall is usually visible, and the view of the Main Fall is unique. Recognising the business potential, the Victoria Falls Hotel soon made Clark an offer for his boating business, which he politely declined. 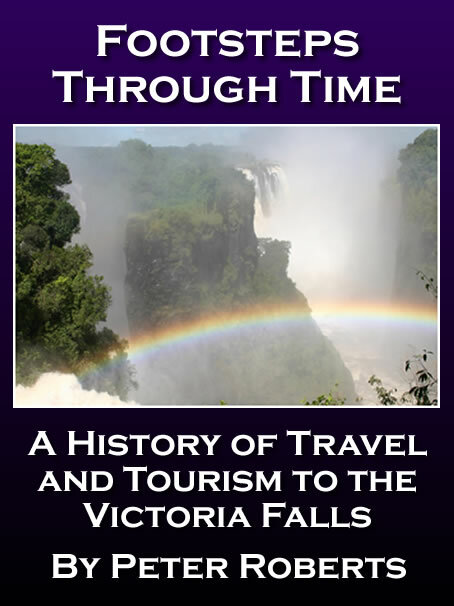 They promptly bought their own motor-launch, and as nearly all the tourist visitors to the Falls stayed in the Hotel, captured the majority of his business. This was the beginning of the hotel's involvement in providing tourist activities and transport, and established the competitive nature of business in a developing tourism town. 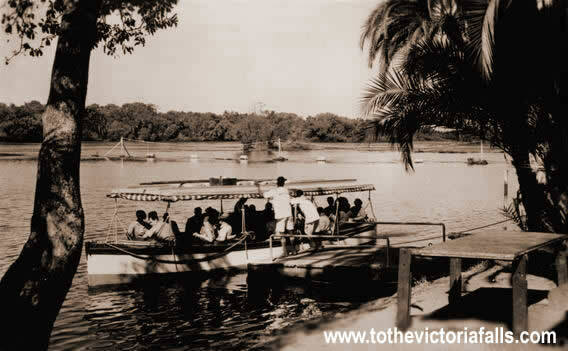 By the late 1920's the Victoria Falls Hotel ran two motor-launches on the river, the Daphne, accommodating 10 passengers, and the larger Diana. They ran two or three times a week across the river to Livingstone, and then up the river to Kandahar Island for afternoon tea. A third launch, the Dorothy, was later introduced. Undeterred, Percy Clark bounced back with the idea of running a rail-trolley service from the hotel to the Falls. The walk to the Falls proved arduous and tiring for many of the elderly hotel guests. His scheme was politely received, but ignored (but eventually installed many years later). 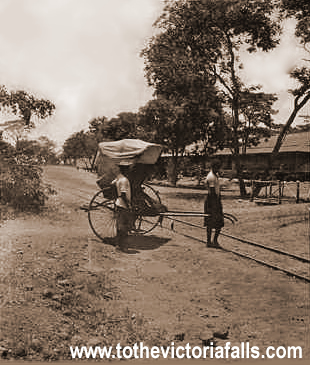 Undaunted, Clark then had the idea of importing rickshaws to convey tourists to the various points of interest in the vicinity, and which proved to be very popular. 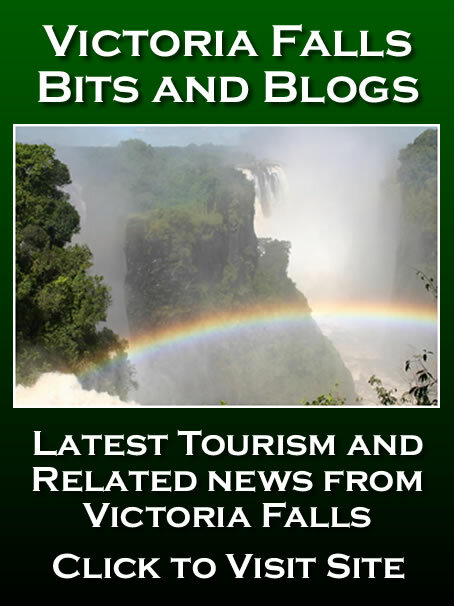 However, Clark was to loose out again after a price disagreement with administration officials led to the Victoria Falls Hotel becoming the owner and operator of the rickshaws. Yet again Clark had lost out to big business.